Problem B1: Two small objects are located a distance (r/n2) apart. One object has a mass m, and the other has a mass of (n1 m). 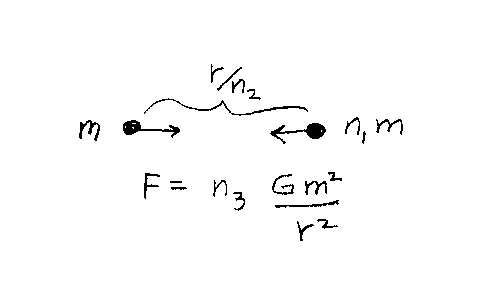 If the magnitude of the force between the two objects is F = n3 Gm2/r2, what is n3?